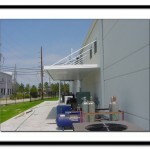 Yes, we do commercial work! 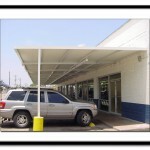 Below are 2 commercial carports. Each on opposite sides of the building. Mr. Williams, owner of the washateria, was very pleasant to work for. If you’re ever in need to do your laundry, go by A & W Washateria on Telephone Road by Broad Street.